Did you know Five Star Home Inspections now offers sewer scope inspection as an additional service? Yes, now when you schedule your home inspection you can also elect to have termite, radon and sewer scope inspection completed delivering a more complete snap-shot of the home you are purchasing. Very few first-time home buyers ask for a sewer inspection before buying a home. Sewer inspections are not something most buyers think about. They know to get a home inspection, but sewer lines are almost an afterthought, if it crosses a buyer’s mind at all. Yet it’s one of the most important inspections a buyer of a home and especially older homes should conduct. The time to find out if a sewer is faulty or needs replacement is before buying a home, not after the fact. We recommend that buyers obtain a sewer inspection if the home is older than 15 years. 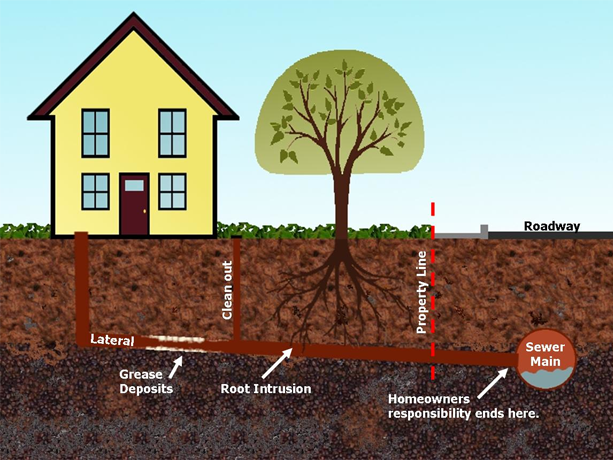 Although the sewer line may be fairly new as compared to homes built before 1950, for example, tree roots can still clog up a 15-year-old sewer line. Tree roots growing into sewer lines is a common problem. Roots crawl into tiny openings and expand in the sewer line, latching on to other debris that typically cause backups such as grease or eggshell waste. 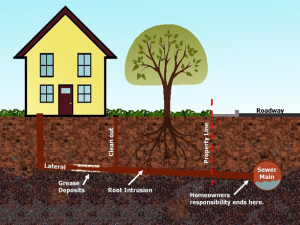 Sometimes chemicals can kill the trees roots but if the roots reappear, the pipe may be damaged and require excavation to fix the problem. Homes that were constructed prior to city sewers often relied on cesspools. After cities installed public septic systems, sometimes the cesspools were left intact and connected to the sewer line. You won’t know unless you inspect the sewer. Many homes built in the 1950s have sewer lines made from tar paper called Orangeburg pipes. These disintegrate and collapse over time. If a home has Orangeburg, the sewer line definitely needs to be replaced. The sewer scope professional inserts a snake attached to a small video camera into the clean-out and snakes the camera through the sewer. You can watch the image on a monitor. Not only will you discover if the sewer line is clean or clogged, but the inspection will disclose the condition of the sewer. Be sure to ask what kind of material was used to construct the sewer line and whether that type of material is considered good construction today. The cost is $200 to have the sewer line inspected, but considering the cost to replace a sewer line, its money well spent.